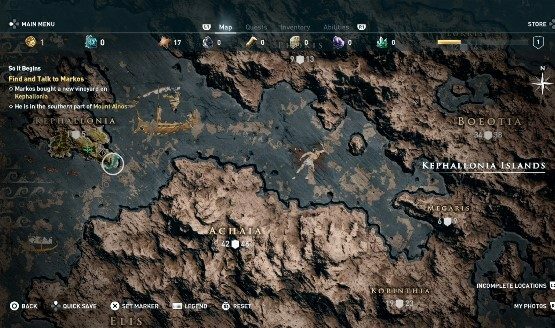 The Assassin’s Creed series has spent time just about everywhere in history, from the Pyramids of Egypt to the American Revolution, so when I was invited to come check out Assassin’s Creed Odyssey, I was very curious to see what time frame they would venture into next. I was surprised to find out that, instead of moving forward from Ancient Egypt, they went backwards to the birth of Western Civilization. In fact, they went all the way back 400 years to 431 BC, ancient Greece, to the time when philosophers like Socrates walked the earth and spread their wisdom and knowledge to those who would listen or could read their words. To the time when the Peloponnesian War was shaping the ancient Greek world and Sparta was rising to power. This is where we find our assassin, and you get to choose between a man or a woman to do your bidding. Once you start the game, you are given your first choice of many to come, and it’s a choice that can’t be changed without starting completely over. 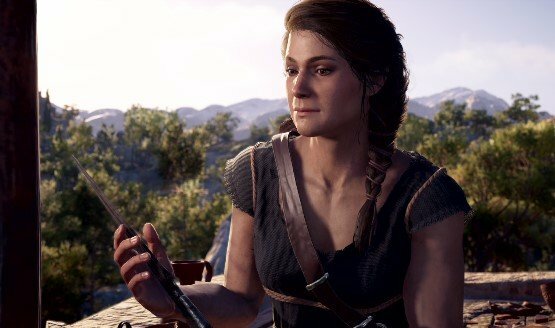 You can choose to be either Kassandra, a strong willed and versatile woman, or Alexios, a just as versatile fighter who is more than capable for this adventure. Gameplay, to me, was a mixture of several games, but at its core, felt like an Assassin’s Creed game. The RPG elements gives it a bit of a Witcher feel, while using the eagle in a drone-like manner was reminiscent of Wildlands, and with a DPS (damage per second) based weapons system, there’s even a hint of The Division lurking underneath. All of this together made for some very fun gameplay, but it was the stealth and weapons aspects that made the game feel like Assassin’s Creed. Hiding in grass, letting out a faint whistle, and then assassinating the soldier coming to check out the noise, is straight out of the AC playbook. Dropping down from above is effective as well, and is another AC trademark skillset. 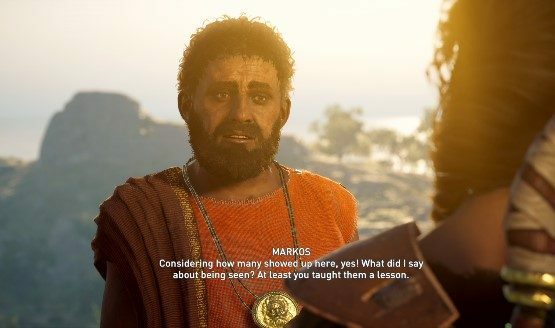 The developers told us that there are over two hours of cutscenes that tell the story of the game, but the real gold comes in the form of dialogue and choices you’ll have to make that are driven by you, and lead to another 30+ hours of cinematics based off of your decisions. There’s even talk of getting to hang out with Socrates himself and possibly becoming BFFs. How cool would that be? I didn’t make it that far in the game, so I can’t speak from experience, but the man might be a little intimidating, knowing his history and all. On the other hand, Bill and Ted had a most excellent adventure with him. Once I had my character ready to go, folks were needing help at every turn it seemed like. I’m not sure how many side missions will be included in the game, but from my short experience with it, you’ll be busy helping folks for many hours to come, if you wish. That’s not a bad thing unless you are time restricted and want to go as deep into the story as possible before the drive back home. I could hear women and children calling for help, but in my relentless pursuit of the story, I had to turn a blind eye and a cold heart to their cries for help as I pushed on with a sadness that was almost overwhelming. The map for the game is HUGE, and I’m looking forward to exploring as much as I can and helping all those I can, once I get my hand on a copy of it. Travel is based off of walking, running, horseback riding, fast travel points you can unlock, and sea and water based travel. As you progress through the story you’ll unlock a large boat and captain, with a fighting crew well armed and ready to go. The crew is upgradable by finding new and better crew mates, and I did recruit an archer to aid me in sea based warfare. Choices sometimes have consequences that will affect you later in the game, both positively and negatively, regardless if you are strict or lenient. Failing certain mission objectives can also have a later effect as I found out on my first main mission. I was tasked with stealing an obsidian eye from a not very nice man, but I needed to do it undetected. I was able to steal the eye, but one soldier alerted others to my presence before I could snuff him out, so even though I was successful, I also failed, but I was able to complete the overall mission. Upon returning to the mission giver, the bad guy’s forces were attacking him and his vineyard due to my incompetence, and I was forced to deal with them accordingly. Big thanks to the Ubisoft crew for setting up and awesome venue, complete with a huge spartan helmet, and inviting us in to meet the developers and play the game with them. 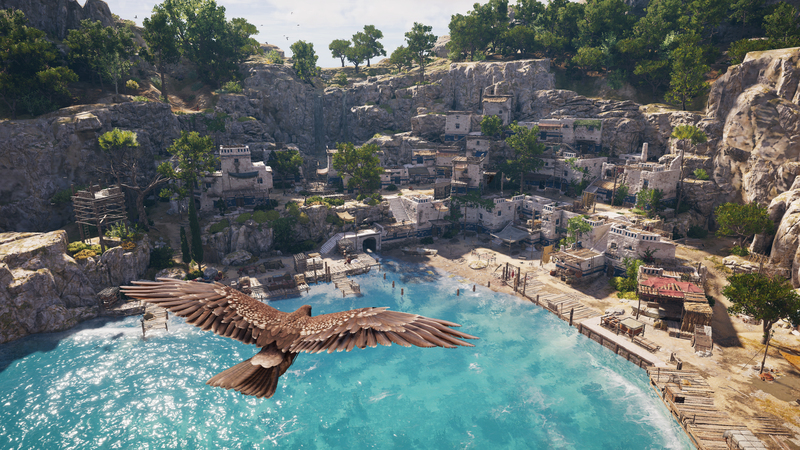 Assassin’s Creed Odyssey is already shaping up to be an incredible addition to the franchise, and with its October 5th release date right around the corner, it looked and played ready for launch.